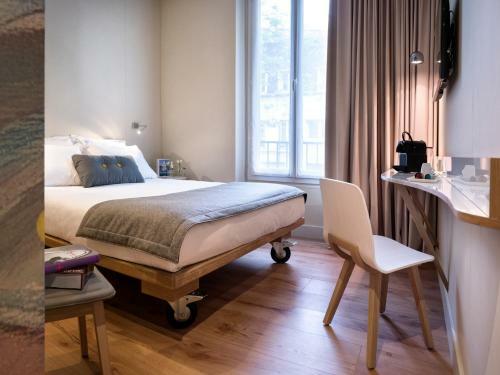 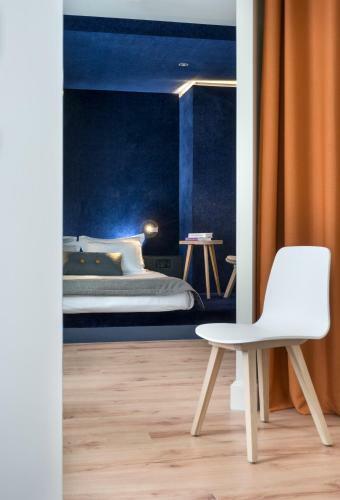 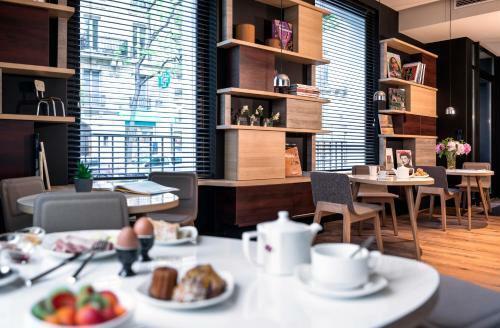 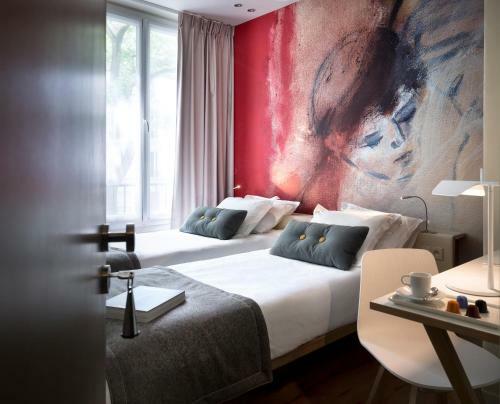 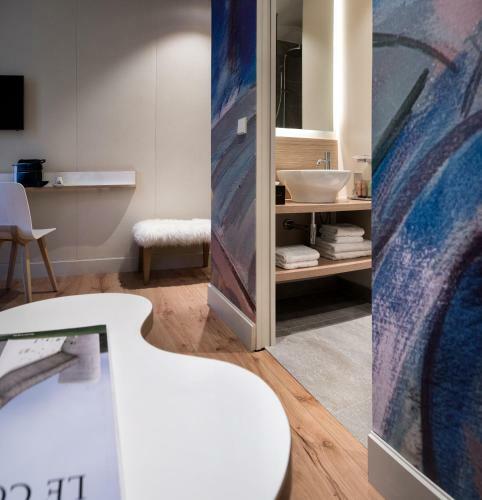 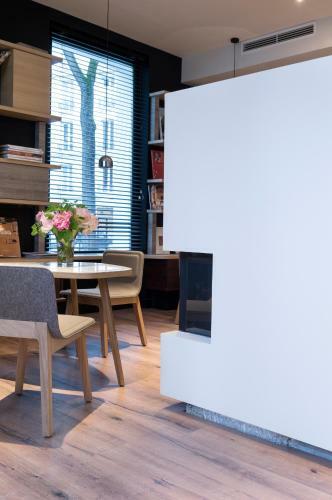 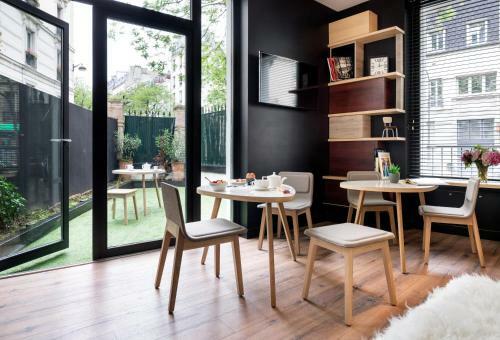 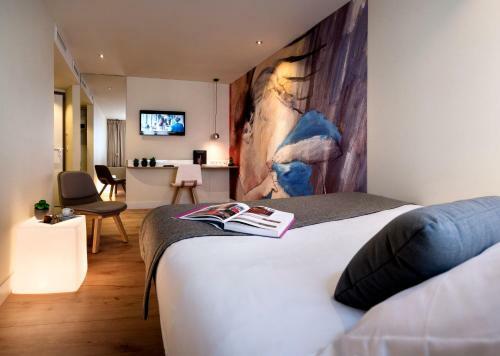 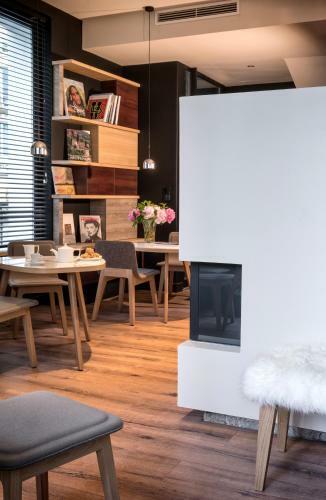 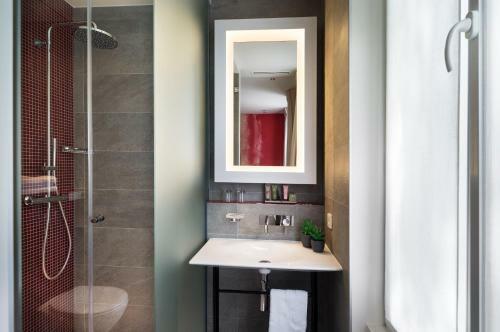 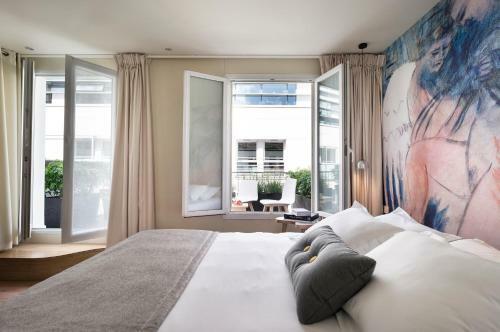 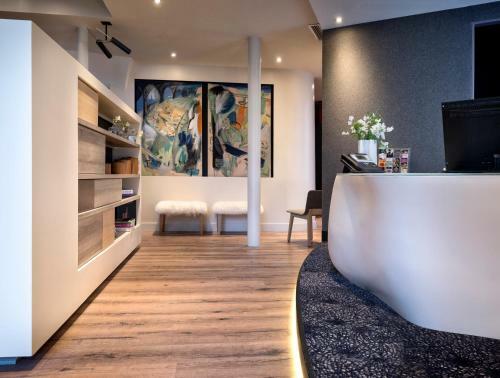 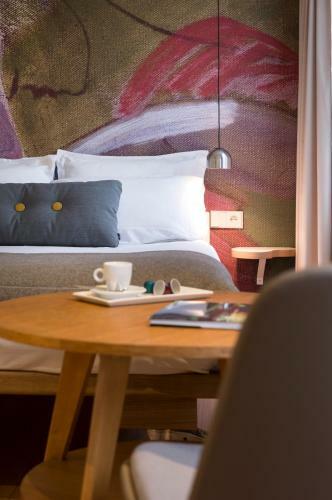 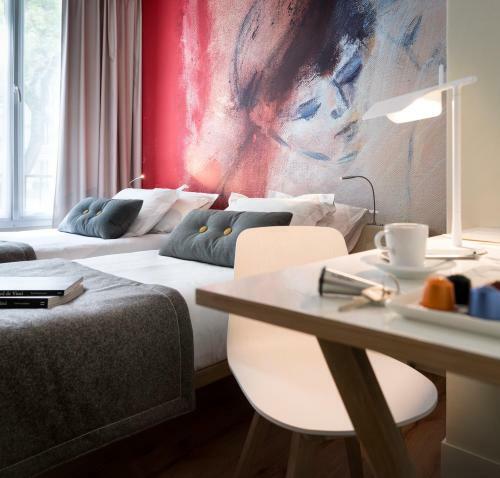 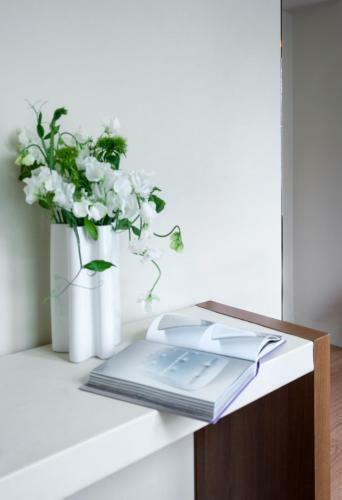 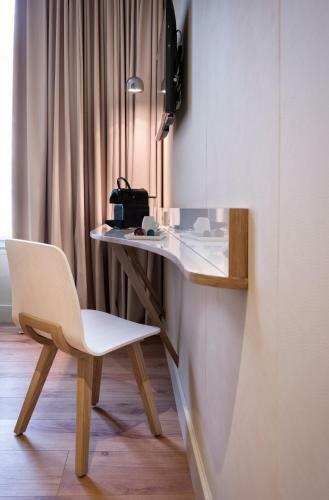 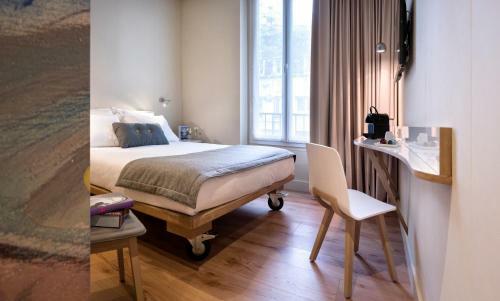 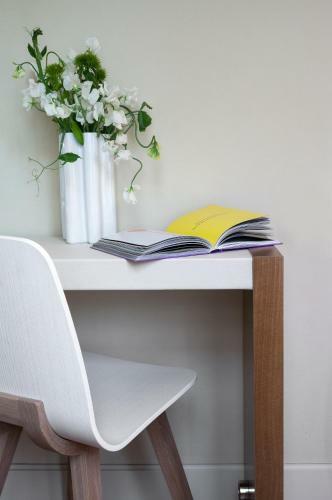 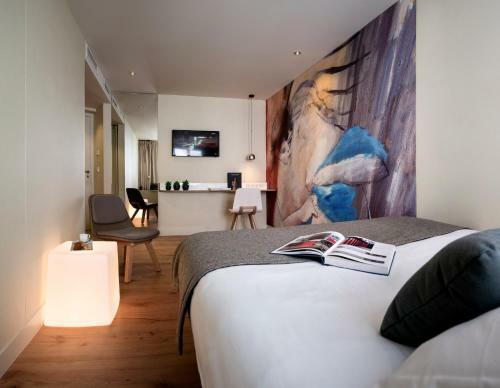 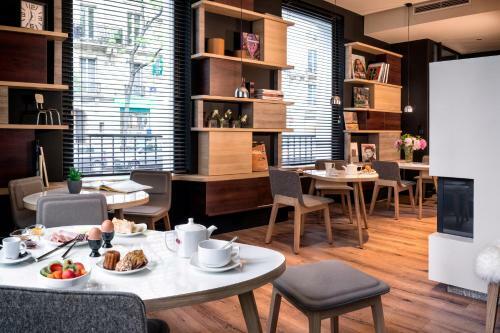 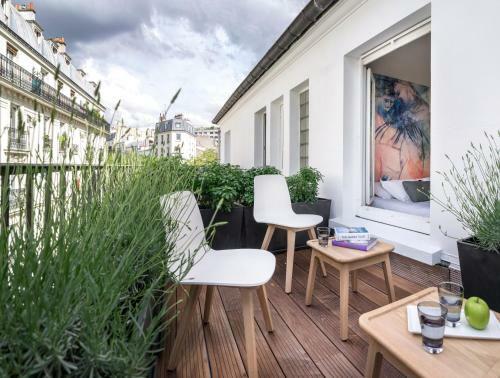 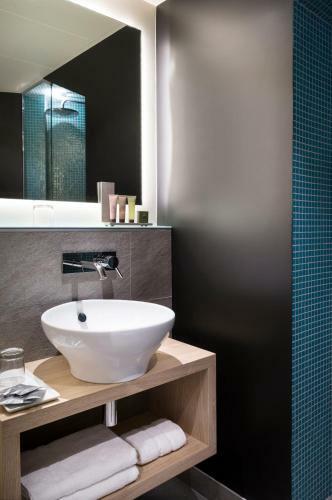 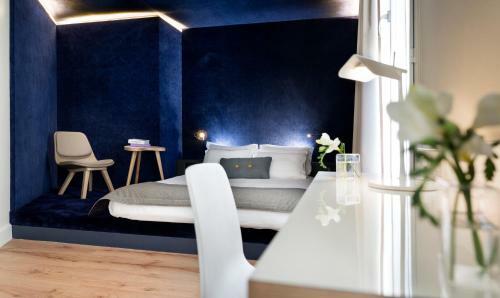 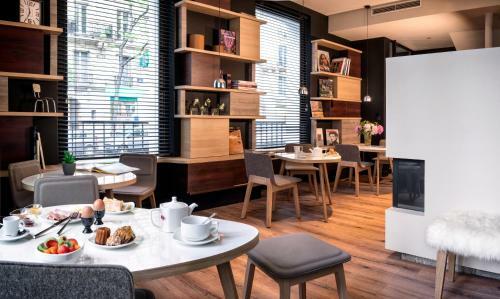 Max Hotel is a boutique hotel located in the 14th district in Paris, 750 metres from Parc Montsouris and 3 km from Porte de Versailles Exhibition Centre. 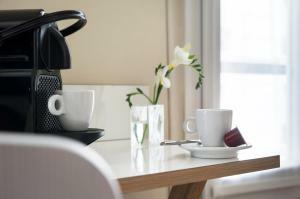 It offers a private garden and soundproofed rooms with free WiFi access. 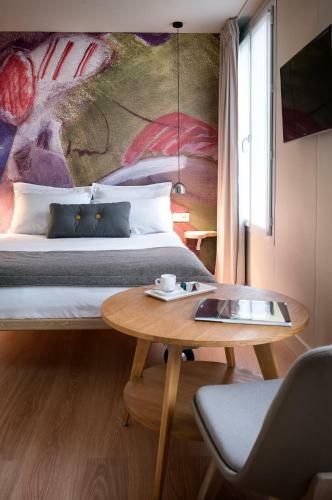 Each guest room offers high-tech facilities such as a flat-screen TV with satellite channels, air conditioning and a Nespresso coffee machine. 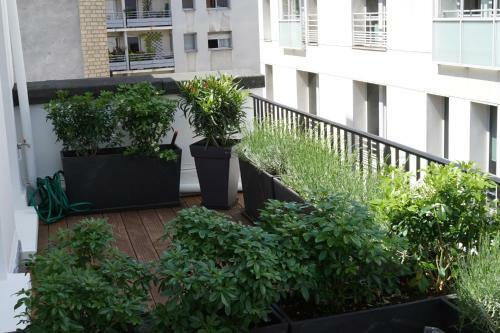 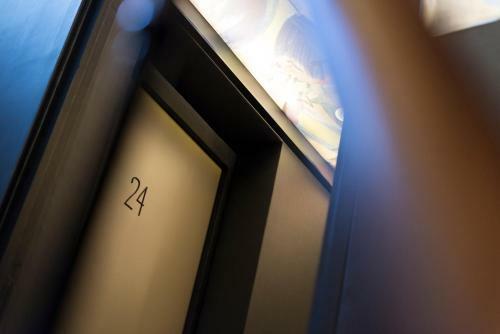 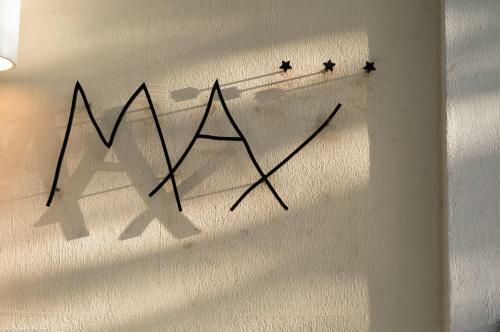 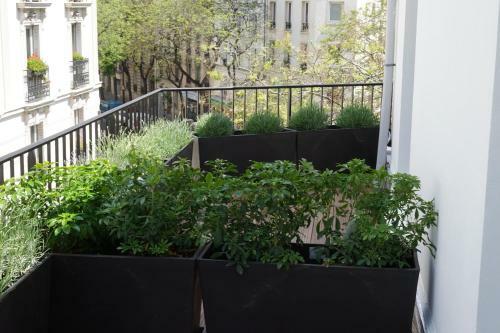 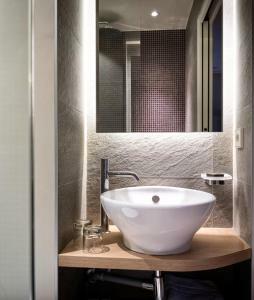 All rooms are accessible by a lift at the Max Hotel, while some also offer a private terrace. 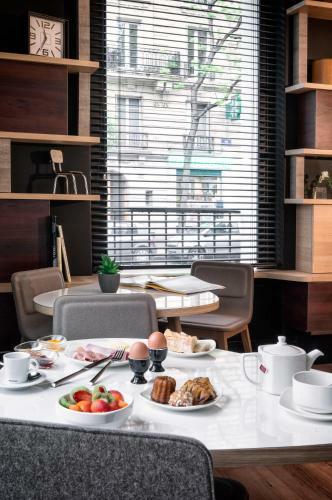 The varied buffet breakfast includes organic products and it is served daily in the bright dining room with a view of the garden. 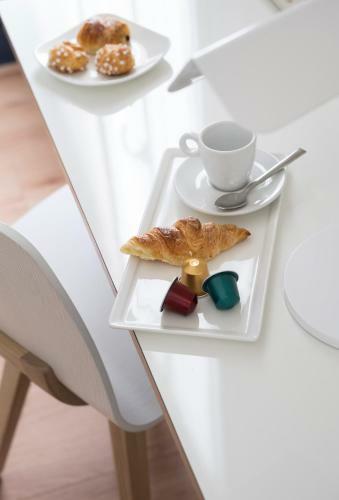 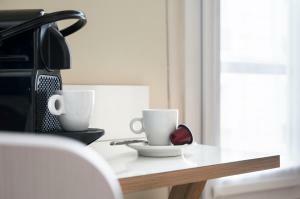 A Nespresso coffee machine is also available in the lobby and bakeries, restaurants, shops and cinemas can be found in the local area. 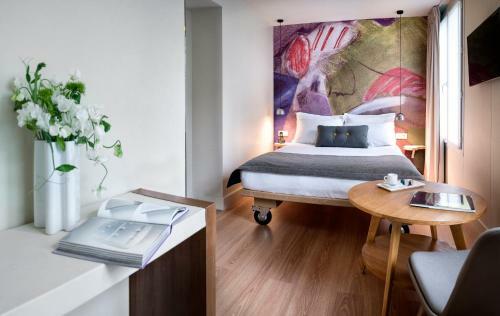 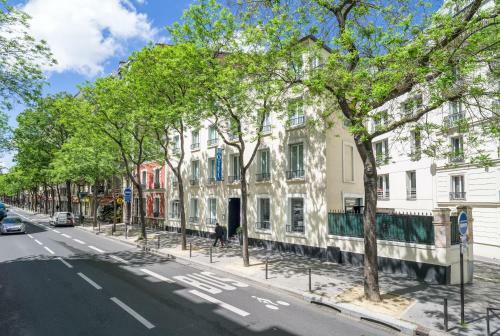 Metro Station Alesia is 200 metres away, providing direct access to Montparnasse and Gare du Nord train stations as well as Saint-Michel and Chatelet. 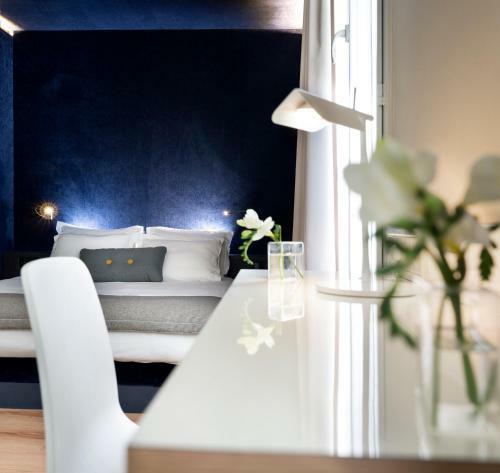 The hotel is 900 metres from the catacombs. Rate: € 84.00 ... € 153.00; select dates below to get current rates. Rate: € 102.00 ... € 207.00; select dates below to get current rates. 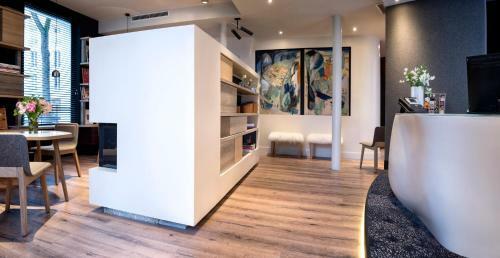 This family room has a soundproofing, air conditioning and satellite TV.